Sorry to burst your Internet folklore bubbles, but American Horror Story is NOT taking on Slender Man. Contrary to several reports, E! News has confirmed the upcoming sixth installment will not be about Internet meme that started in 2009. According a source, the new season will be announced sometime in March and it's an idea that has been hinted about in previous seasons. Now go through and watch every season and come up with a theory as to what's next. Series co-creator Ryan Murphy started telling his troupe about the new season after Lady Gaga won a Golden Globe for American Horror Story: Hotel. "Tonight I started to tell all the actors who they were going to play for next season because I had too much to drink, so I told Angela Bassett and she was like, ‘What?!' I'm going to regret it tomorrow, I think I said too much too soon," he told us. There's no such thing as American Horror Story spoilers being too much too soon. Just saying. As for whether Gaga will return for another installment, that remains to be seen. All we know is Murphy offered her a gig. Sarah Paulson, an AHS mainstay, also played coy when we asked her about the sixth season. 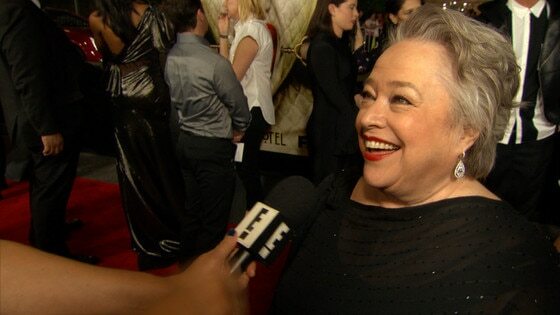 Can you imagine American Horror Story without her? Next up for Paulson and Murphy is American Crime Story: The People v. O.J. Simpson on FX. In the new 10-episode series, Paulson plays prosecutor Marcia Clark opposite Cuba Gooding Jr. as O.J. Simpson, John Travolta as Robert Shapiro, Courtney B. Vance as Johnnie Cochran and David Schwimmer as Robert Kardashian. The series tells the story of the O.J. Simpson murder trial after the deaths of Nicole Brown Simpson and Ron Goldman in 1994. Murphy directed several episodes and is executive producing. The People v. O.J. Simpson premieres Tuesday, Feb. 2 at 10 p.m. on FX. PHOTOS: American Horror Story characters—ranked!